All pets must be current on vaccinations for a minimum of 14 days prior to boarding or attending training. All boarding customers are required to pay a 50% non-refundable deposit toward their stay at the time of booking. 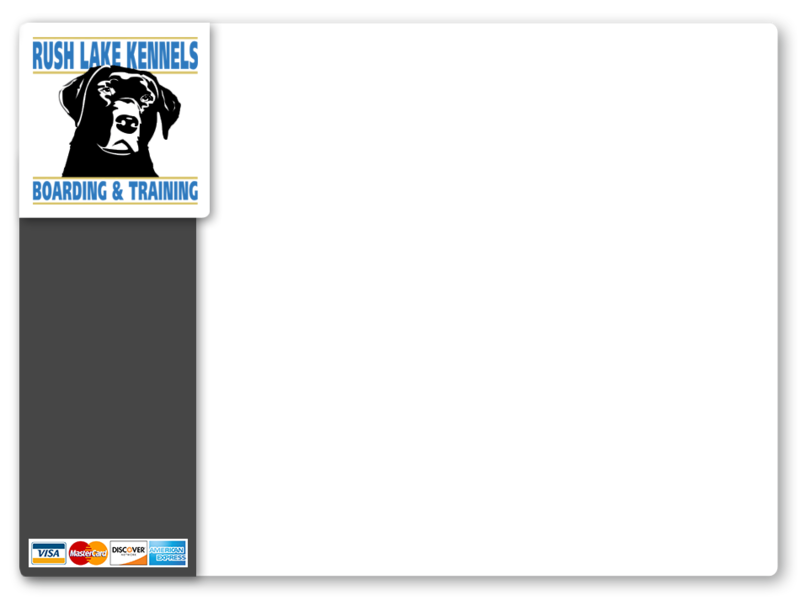 Resident training and obedience training registration also requires a deposit. Drop off and pick ups are by appointment only M-Sa 9-11:30am & 4-7pm. We are closed on Sunday and major holidays. Repeat Email below to check for spelling errors. If you have multiple pets there is space for up to 2 entries. JPG, JPEG, or PDF is acceptable. If you have multiple pets there is space for up to 2 entries. If you only have 1 pet please scroll down to the bottom of this form and submit. Thank You. Include Instructions for care, medication, medical conditions, aggression, etc.